Chris Hargis " Make Mustaches Great Again! " 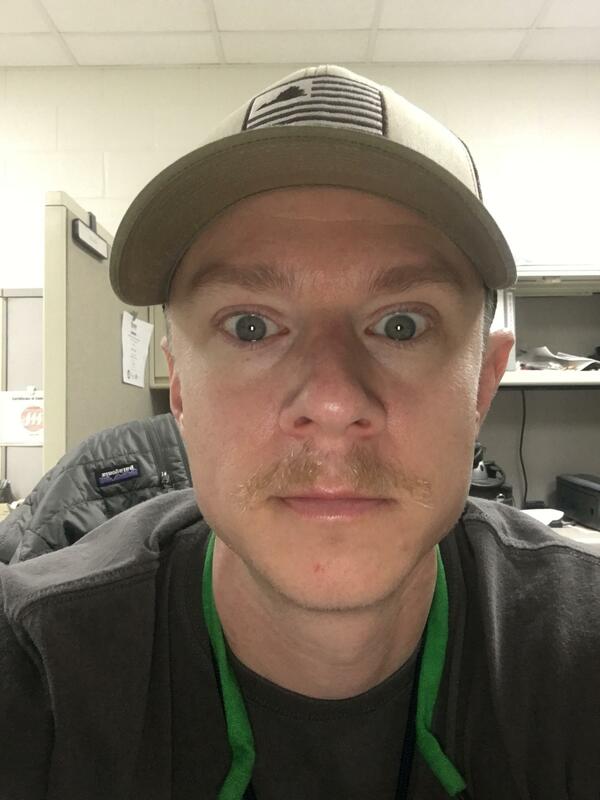 Almost 1 month in and this thing is full fledged creeper status. Only 2 more days left to donate! I’m very close to my goal! Any help is much appreciated!! Big Thanks for all your donations and your help in supporting these local children’s charities. "Maybe a little shoe polish would help......"
"Now stop harassing me! " "I'll pay you to stop growing it sir....."
"I bet Jen is lovin’ it! " "I know you’re asking for donations, but that thing on your face says “ransom”." "A least you won’t have to worry about clogging up the razor when it’s time to shave! 🤣 #bubbaneverages"
"You should keep it until next summer !" "Hopefully you get enough donations so we actually get to see a mustache, I’m guessing it’ll only take 18 months for some fuzz to come in." "It’s going to overtake your lip in no time "
"Just try really hard and I’m sure it’ll fill in 😉 "
"You've never shaved a day in your life...what's different"
"Good luck with the stash. "